(CercleFinance.com) - Oddo confirms its buy rating on the share of hotel giant AccorHotels, with a target price of 48 euros. The share's current market valuation of suggests an 2019e EV/EBITDA multiple of 12.1x, meaning a discount of 10% relative to US asset light peers(average of 13.5x). This discount has significantly fallen recently, following the reduction in our expectations following the group's marketing plan (opex of 55 million euros in 2019e and 45 million euros in 2020e), Oddo says. 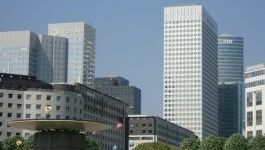 The broker's analysts point out that RevPAR in France rose by 2.6% in February 2019 (compared to February 2018) according to preliminary data published by OlaKala. This increase comes solely from the rise in average prices (+2.6%), with occupancy rates almost unchanged (-0.1 pt). This is a solid performance, given a very difficult base effect (RevPAR +8.0% in February 2018) and the ongoing yellow vests protests, which continued into February, although the impact of which on the hotel industry seems to be gradually settling down, Oddo believes.